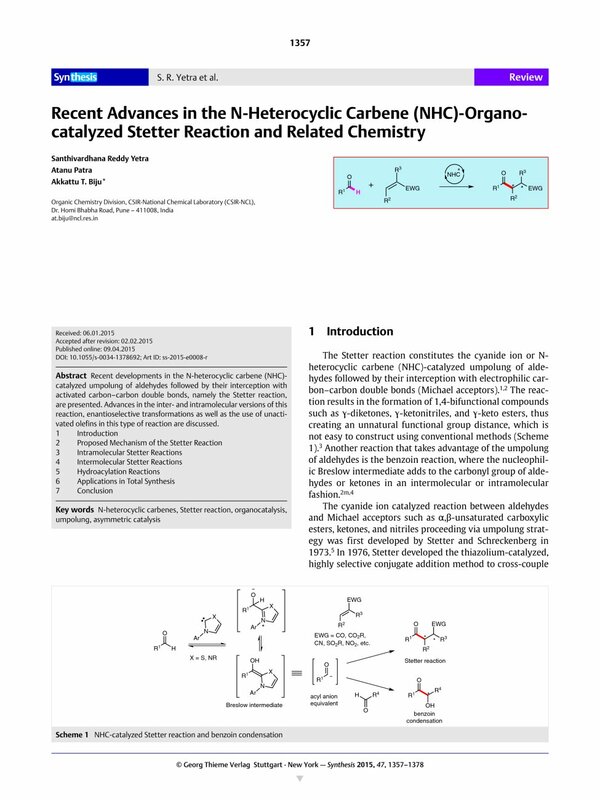 Recent developments in the N-heterocyclic carbene (NHC)-catalyzed umpolung of aldehydes followed by their interception with activated carbon–carbon double bonds, namely the Stetter reaction, are presented. Advances in the inter- and intramolecular versions of this reaction, enantioselective transformations as well as the use of unactivated olefins in this type of reaction are discussed. 84 For a recent review on application of NHC catalysis on natural products synthesis, see reference 2j.